To celebrate Earth Day, the Netspring Green IT Class team is very proud to join the celebration of Earth Day held by AmCham Shanghai on Friday, April 21 from 13:00-17:00 at the Plaza at Shanghai Centre (1376 Nanjing Road West). Come and visit us at our booth where some activities will be held. Held every year on April 22, Earth Day is a global movement that advocates environmental awareness and protection. It was first launched in 1970 and is now celebrated in more than 192 countries each year. This event is brought to you by AmCham Shanghai’s Environmental Committee. 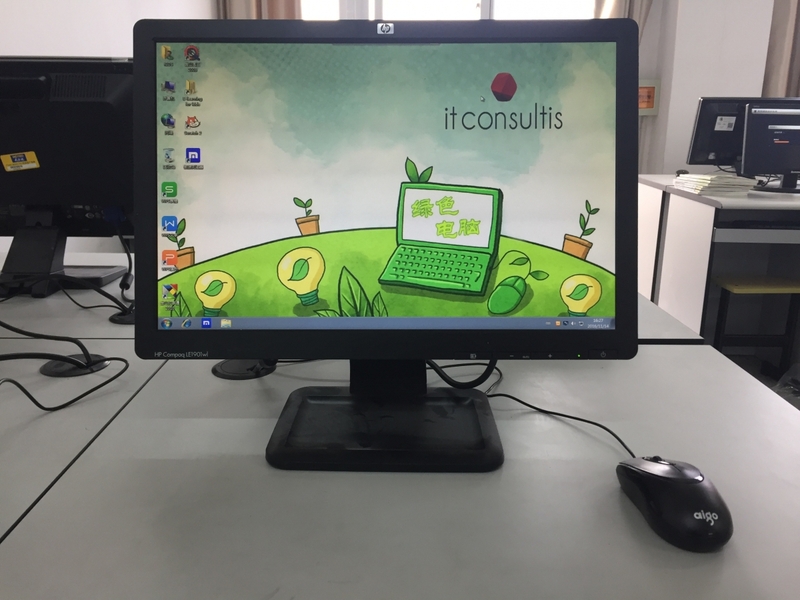 In November, IT Consultis, in partnership with Netspring Social Enterprise successfully set up a Green IT Classroom at Sangang School in Taicang in Jiangsu Provice. The classroom was equipped with 25 desktop computers and headsets, mice, keyboards and other accessories. IT Consultis reflects its long-term commitment to the development of Corporate Social Responsibility in this project. It is hoped that the Green IT Classroom at Sangang School, will open up opportunities for the marginalized students of migrant workers, allowing them to receive a fairer education, gaining access to more knowledge, and growing up to become well rounded individuals. AICM Wuxi Qinghe School sent us some work from their students made for the final computer exam of this semester. The Grade 3 students taking the final exam started computer classes in September this year. They were required to use "Paint" software to design a picture about "My Home". Their work is pretty impressive for students who only have 12 weeks of IT classes behind them. Here's a taster of what they produced! On the morning of November 15th, Edwards Lifesciences group successfully set up a Green IT Classroom equipped with 25 desktop computers in the Pudong New Area of Shanghai. The company also gave gifts to the school such as badminton rackets, basketballs and other sports equipment. This opening marks the 66th Netspring Green IT Classroom across 14 provinces in China. Netspring at Beijing International Circular Economy Conference! As a resource recycling social enterprise, Netspring representatives participated at the exhibition, exchanging with a number of companies and research institutions in the same industry. At the exhibition, Netspring promoted its Green IT classroom project of recycling old company computers for migrant schools. 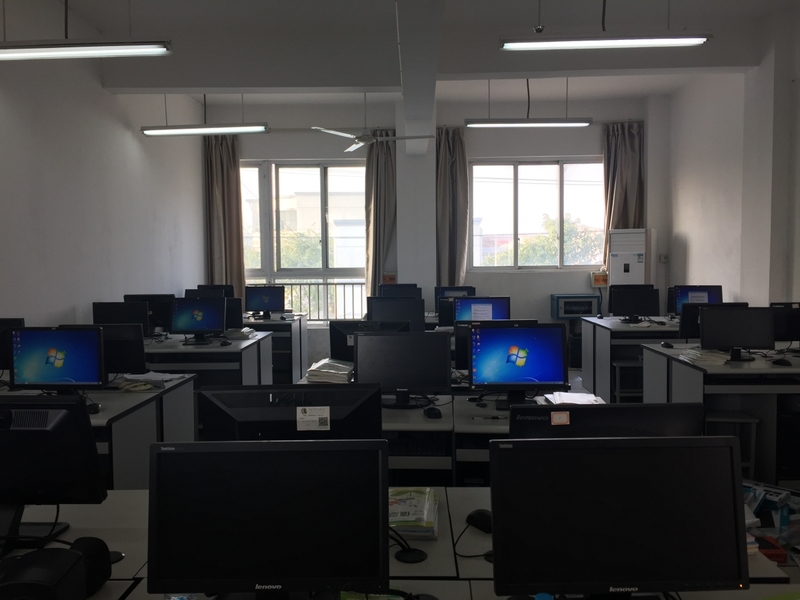 On Nov 17th, as part of its FUELS program, Faurecia built its 5th Green IT classroom, in Jiashan elementary school in Liaoyuan, Jilin province. After Shanghai, Suzhou, Hubei Macheng, and Chengdu, Faurecia opened its first Green IT Classroom in North-eastern area in China. Now, Faurecia have covered all its operating areas with one Green IT Classroom. Since inception of the Green IT program in China, Faurecia has supported more than 4000 Chinese underprivileged children to achieve better education facilities. Netspring is going to join in the China International Circular Economy Exhibition (CCE) which is to be held in China for the first time . The 2016 CCE in Beijing has won the support from nearly 100 foreign and domestic industry associations relating to circular economy. Netspring is going to present our Green IT Classroom program to local communities by means of this exhibition and to arouse people's awarenesss of benefits from e-waste recyling.